With the final goal to elucidate the health properties of wine polyphenols at oral level, we studied their properties as an anti-adhesive therapy for periodontal and cariogenic prevention, as well as the combined action between wine polyphenols and oral probiotic strains in the management of microbial-derived oral diseases. In particular, we checked out the effect of two red wine polyphenols, as well as commercially available grape seed and red wine extracts, on bacteria that stick to teeth and gums and cause dental plaque, cavities and periodontal disease. Also, oral metabolism of polyphenols, including both oral microbiota and human mucosa cells, was investigated. Response: Phenolic metabolites (caffeic and p-coumaric acids), grape seed and red wine oenological extracts, were selected for our research. We tested concentrations in the range normally found in wine (50 and 10 µg/ml). Working with cells that model gum tissue, we found that the two wine polyphenols – caffeic and p-coumaric acids – were generally better than the total wine extracts at cutting back on the bacteria’s ability to stick to the cells. When combined with the Streptococcus dentisani, which is believed to be an oral probiotic, the polyphenols were even better at fending off the pathogenic bacteria. The evaluation of oral metabolism confirmed both, bacterial and cellular metabolism of wine polyphenols. Our results also showed that metabolites formed when digestion of the polyphenols begins in the mouth might be responsible for some of these effects. Response: Altogether, the evidence collected in our work suggests that the combination of oral probiotics and phenolic compounds could be a more than feasible strategy in the management of microbial-derived oral diseases, in particular, periodontal disease, and encourage further in vivo studies toward this direction. In a further step, delivery methods for these compounds to treat oral disorders should be optimized. Mouthwashes and chewing gums have been proposed as interesting matrices for the application of dietary polyphenols in the management of oral health. 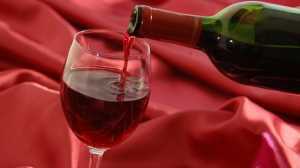 Another major novelty of this work is related to the study of the role of oral bacteria and human cells to metabolize polyphenols with the subsequent release of phenolic metabolites, which merits to be confirmed in further in vitro e in vivo studies considering plausible differences between individuals as observed for oral metabolism of other wine components. This entry was posted in Alcohol, Author Interviews, Dental Research, Probiotics and tagged dental health, polyphenols, probiotics, wine by Marie Benz MD FAAD. Bookmark the permalink.